My first skateboard was a Nash, which still irks me a little. But my second skateboard was a hand-me-down deck from my best friend Jason. I always wanted a Tony Hawk. But I got a Christian Hasoi Hammerhead instead. Skateboards were a disruptive force of nature in my life. It wasn’t the wood, the grip tape and the polyurethane wheels, it was the culture. Skate culture gave me something to feel like I was part of. There was music associated with it. There were popular figures I could idolize. It was marginalized and yet popular enough to make its early adopters rich and famous. I was born in the time of cassette tapes. Made many a mixed tape myself. Gave none to any girls. But when CDs came along, they disrupted everything. Where I would hold my finger to the record button on my cassette recorder hoping to begin recording at the precise moment that Def Leppard’s “Pour Some Sugar on Me” came on 105.1 FM, CDs brought high-fidelity wet dreams and $12 prices that seemed astronomical to me. Nuclear weapons, though they predated me, were rather disruptive in my life. I spent way too many days living in fear of a Russian first strike. “Red Dawn” did nothing to improve my outlook on a communist future. M.C. Hammer was disruptive, as was the first Iraq war, though not nearly as disruptive as Vietnam was for our drafted fathers. Reagan was disruptive, as only actor-politicians can be. Clinton was a Tour-De-Force. I’m the epitome of disruption. I was never content to be a print reporter. I discovered social media and digital journalism. I ran with it. I kind of liked the disruption. It was a skateboard. 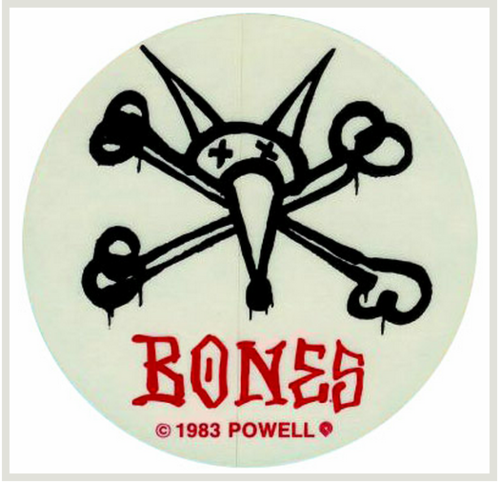 A new Tony Hawk deck with Independent trucks and Bones Brigade polyurethane wheels. Swiss bearings. My life is a disruption. My career is a disruption.